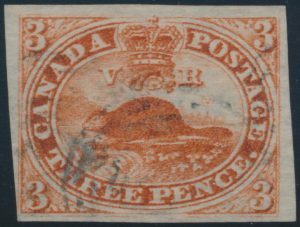 Lot 27 Canada #4d 1852 3d orange red Beaver Imperforate, on Thin Paper, used with light cancel and four margins, just touching at lower left corner, fine-very fine. 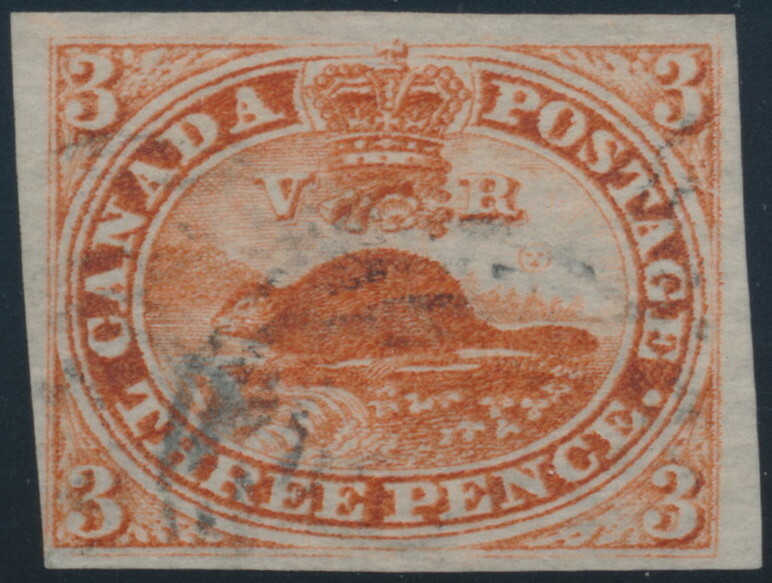 The stamp is identified on back (in pencil) as coming from plate position A39. Unitrade $225, sold for C$170.00 plus 15% buyer’s premium.